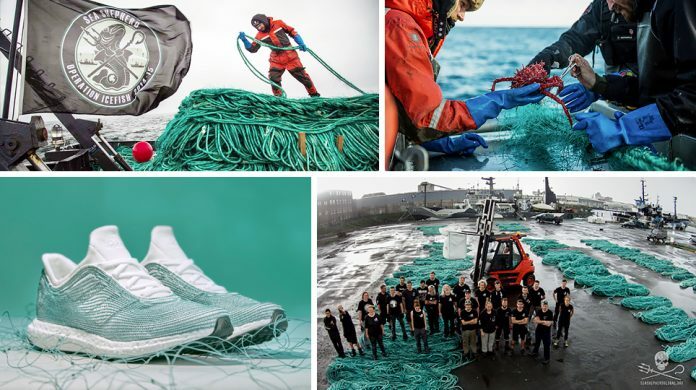 Last year, nongovernmental organisation Parley for the Oceans teamed up with German sportswear giant Adidas to 3D print the world’s first sneakers made out of ocean waste. The pair showcased their concept shoe – which consists of an upper made with ocean plastic content, and a midsole which is 3D printed using recycled polyester and gill net content – at the “Parley Talks” at COP21 in Paris, demonstrating how the industry can re-think design and contribute to stop ocean plastic pollution. Now, as part of its A.I.R (Avoid. Intercept. Redesign) strategy, the organisation is calling on all who share their values and mission to protect the oceans and end ocean plastic pollution to support the Ocean Plastic Program by creating a video that calls to action. The creators of the 50 most inspiring videos will be named Parley Ambassadors and will also earn a pair of these limited edition shoes that cannot be bought on the market. “Creators of the most inspiring 50 videos will earn a pair of shoes. More important, they become core members of the Parley movement,” it says on the Parley for the Ocean website. Contenders will be required to upload their video to Instagram, and tag Adidas and Parley in the caption with #ParleyAIR.The contest ends on 31 June 2016. For detailed information, please go to: http://www.parley.tv/updates/parleyaircontest.